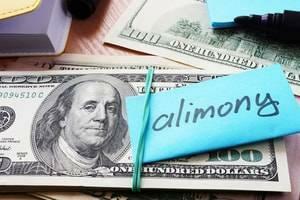 Most spouses going through a divorce are familiar with child support and alimony/maintenance. Child support is designated for the needs of the children and maintenance for the needs of the receiving spouse. In Illinois divorces finalized prior to December 31, 2018, there is another option, known as unallocated maintenance, that can often be financially beneficial for both parties. Unallocated family support is only beneficial in certain cases, however. For this reason, it should only be implemented with the advice and counsel of an experienced divorce and family law attorney. At Mevorah Law Offices LLC, we have been serving clients in the Chicago area and throughout Illinois for over 35 years. Our award-winning attorneys have extensive experience with even the most complex divorces involving debt division, bankruptcies and other challenging financial issues. Our lawyers are skilled, approachable and dedicated to protecting the interests of each client we serve. In addition, we have in-depth knowledge of tax consequences and divorce and how unallocated maintenance can often become a win-win for both spouses. During a divorce, child support is typically tax neutral; in other words, child support payments cannot be deducted by the paying spouse and are not taxed as income to the receiving spouse. 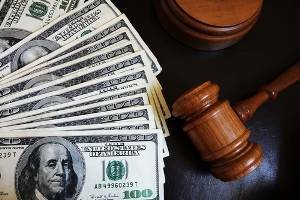 Alimony/maintenance, on the other hand, is tax deductible for the paying spouse and subject to income taxes for the receiving spouse in divorces finalized prior to 2019. With unallocated maintenance, child support and alimony payments are combined into one award that is tax deductible for the payor and taxable income for the recipient. While this arrangement is always beneficial for the payer, it can often be beneficial for the recipient as well. Unallocated maintenance can benefit both parties in instances when there is a wide disparity in income between the spouses. For example, if the paying spouse is in one of the higher tax brackets and the receiving spouse is in the lowest tax bracket or stay at home parent, unallocated family support could allow the paying spouse to save money by moving into a lower tax bracket even while paying a significantly higher award. At the same time, the receiving spouse is taxed on higher income but is still better off because they receive a much larger award than they would have otherwise. In cases when both spouses are in a similar tax bracket or will be in the near future, unallocated maintenance is not likely to benefit both sides. Before implementing this option, a thorough examination of the financial implications for each spouse should be conducted. If a divorcing couple does opt for unallocated family support, the provisions must be drafted in a way that will be satisfactory to the IRS and Illinois Department of Revenue. The Tax Cuts and Jobs Act of 2017 has redefined how maintenance will be taxed. For divorces finalized after December 31, 2018, maintenance will be treated the same as child support, meaning that it will not be tax-deductible for the payor or taxable for the recipient. Unallocated maintenance will no longer be available under the new tax law, so couples who wish to take advantage of these tax benefits should work to complete their divorce prior to the end of 2018. Mevorah Law Offices LLC has helped numerous clients minimize tax liability with unallocated maintenance. Our skilled attorneys are honest and down to earth, and we work closely with our clients to develop practical and creative solutions such as unallocated family support to help make the best of a very difficult situation. We are also very accessible to our clients and offer extended evening and weekend hours to help accommodate busy schedules. Contact our office today at 630-932-9100630-932-9100 for a free consultation.